‘The biggest misconception people have about mongrels is that they are not as beautiful or worthy as a purebred dog, or that they are difficult to train or handle,’ says Lillian Wang, founder of Three Legs Good, a local charity that gives such dogs a second chance. The idea for the charity to hold an awareness-raising exhibition came to Wang after she heard about a photography competition organised by the SPCA in Hong Kong a few years ago. 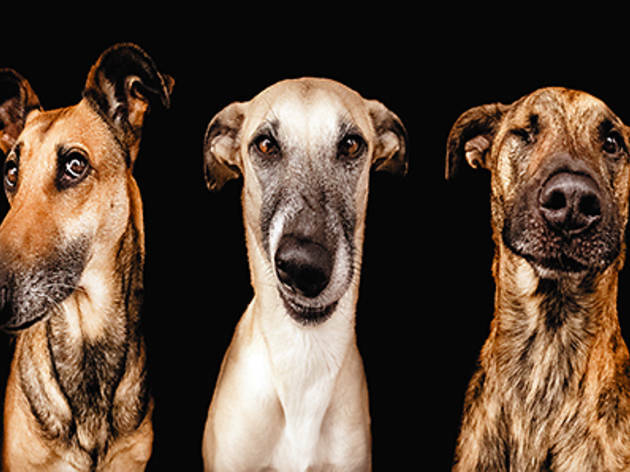 The animal welfare group had invited the public to photograph mongrels – or mixed-breed dogs – beside listed buildings as a sign that these canines are part of the city’s heritage, too. And so, in 2012, Wang borrowed the idea and set up the first Mongrel exhibition here. 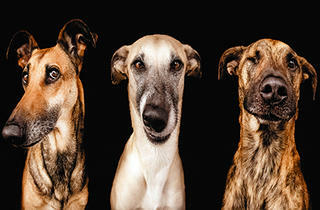 One of the artists who will be taking part in the exhibition’s third edition, held this month, is Elke Vogelsang, a German photographer who has adopted a trio of mongrels herself (pictured above). Vogelsang’s playful images will be displayed alongside those by Ernest Goh, Namiko Chan Takahashi, Lili Chin and Ly Yeow. The deadline for submission of photos has been extended to 9 Nov.